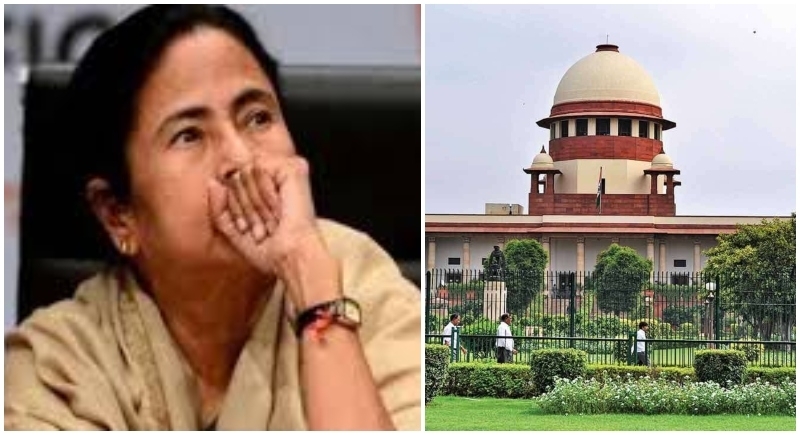 Kolkata, February 5: All the hustle and the drama created by West Bengal Chief Minister Mamata Banerjee came to a standstill when the Chief Minister got a setback in the Supreme Court’s order. The Supreme Court today directed the Kolkata Police Commissioner Rajeev Kumar to appear before the central agency for questioning in the Saradha and Rose Valley chit fund scams before February 20. On Monday, while agreeing to give an urgent hearing to CBI’s plea the top court clearly stated that it will come down heavily on Rajeev Kumar if “even remotely” tried to destroy evidence. The Supreme Court however has ruled out the arrest and coercive action against the official till February 20, and has also issued contempt notices to the West Bengal Chief Secretary, Director General of Police and the Kolkata Police Commissioner. Irony is Mamata has misplaced to call the SC decision a 'moral victory' when the fact is that the top court has asked for the Saradha cop to appear before the CBI, which is what Mamata was blocking. Addressing a press conference after Supreme Court orders Kolkata Police commissioner to appear before CBI officials, Union Minister Rabi Shankar Prasad said that Rajeev Kumar has to appear in Shillong. Supreme Court order has clearly stated that he will now have to appear before CBI in Shillong. The Supreme Court has given a notice to contempt of court. The big question is why was the Rajeev Kumar not helping in the probe for the last 3 years. Why were they not appearing before the CBI? Why is Mamata Ji Silent on this? Why are the other parties silent on this? Today is a moral victory for CBI. Now, the investigation should be done is a fair manner. BJP's Spokesperson Sambit Patra in a tweet said, Despite the Huge loss of face for Mamata Banerjee in the Supreme Court today ..She still continues to entertain the Nation with Her very evident Frustration..through a so called Press Conference..
Dual face as Mamata Banerjee is, citing the Supreme Court order as ‘moral victory’ claimed that Kumar never said he will not cooperate in the probe, Mamata said that the SC’s directive ruling out his arrest was all that the state government wanted and termed it a win for India.